In an effort to open the door for more female-led technology startups, 1871, the high profile Chicago-based tech launchpad, is teaming up with Google Inc. to create 1871 FEMtech. An incubator for women-owned tech startups, 1871 FEMtech is part of a larger $1 million effort by Google Inc. called #40Forward focused on launching 40 incubators worldwide that will hopefully boost women’s participation in technology by 25% this year. Underwritten by the Motorola Mobility Foundation and the Lefkofsky Family Foundation—created by Groupon Inc. co-founder Eric Lefkofsky and his wife, Liz—FEMtech aims to feature between 10 and 15 women-owned tech businesses that will co-locate at 1871 each year to engage in programming, mentorship, and training designed to maximize their chances for success. Launching with $500,000 to $1 million in support, FEMtech is encouraging female entrepreneurs from Chicago to outside the US to apply in the next 30 to 60 days. The incubator will start in the fall. Currently, about 28% of the companies at 1871 have a woman among their founders, despite the fact that tech startups with women tend to have a success rate about 30% higher than startups overall, according to 1871 CEO Howard Tullman. Many believe Chicago to be a more welcoming spot than, say, Silicon Valley, for women-owned tech startups. 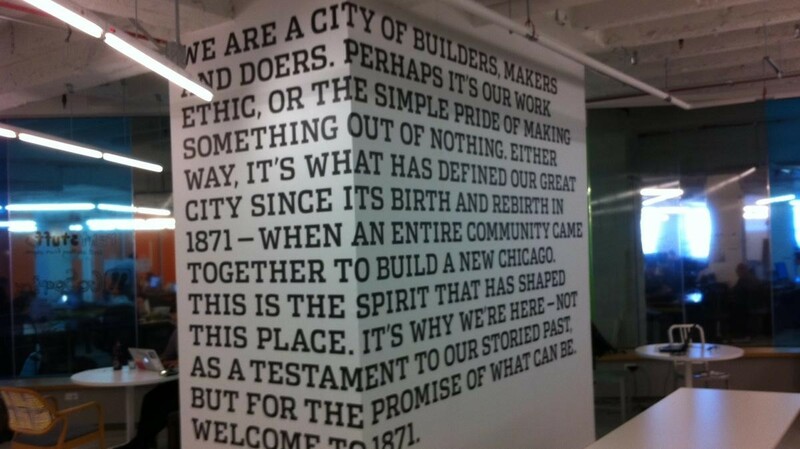 According to its site, 1871 will offer incoming startups a flexible and family-friendly experience, tailored content and mentorship, access to 1871’s top university partnerships (including University of Illinois, University of Chicago, Northwestern University, and more), access to capital, and more. For more information on how to get involved, visit http://www.1871.com/femtech. Guest Post: Andrea Fisher is a writer and content specialist for ADT Home Security. She has appeared in a variety of publications, including The Chicago Tribune and Business Insider. Read more of her work on Google+. Does Your Twitter Background Matter?